The Board of Directors for Bridging RVA is pleased to announce that Lee Ann Sawyer has been appointed Executive Director. Lee Ann has supported and volunteered with Bridging RVA since 2014, when we first began. She is passionate about helping people in need, particularly in our community. She also feels strongly about creating a space where everyone is welcomed to make a positive impact. Lee Ann has been active in serving others beyond Bridging RVA. She has volunteered and served with mission organizations in Costa Rica, Ghana and Haiti. 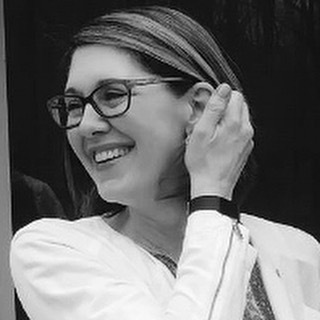 Lee Ann's heart for people combined with 25+ years' experience in national sales and business development make her the perfect fit for Bridging RVA. Over the past few months, we've had several nights where the temperatures have plummeted down into single digits. Knowing that people in our city without homes would be sleeping outside, we mobilized people to go out and check on them. our mission was simple. We simply wanted them to know we care; and offered them a ride to a local shelter, blankets, coats, gloves, socks, warm coffee and snacks. We can't always predict the wearher, but we can be prepared to respond rapidly to needs in our community as they arise. The nature of our Rapid Response initiatives doesn't always give us a lot of time to mobilize. However, we have always been blown away by the outpouring of kindness and compassion of our volunteers. If you'd like to make a donation or know more about how you or your organization can help, click on the buttons below. For a Veteran - How Appropriate! We are all about connecting individuals, groups and causes for the common good of our community. Check out this letter from Doug Moore, Med-Air President, to Bridging RVA's Ilya Grossman and John Sawyer. We are better together! We here at Med-Air cannot think of a better way to support our vets than with the repair of the power wheelchair for 67 year old veteran Mr. Joseph Newton at his home in Reedville. Mr. Newton is back on the move!!! 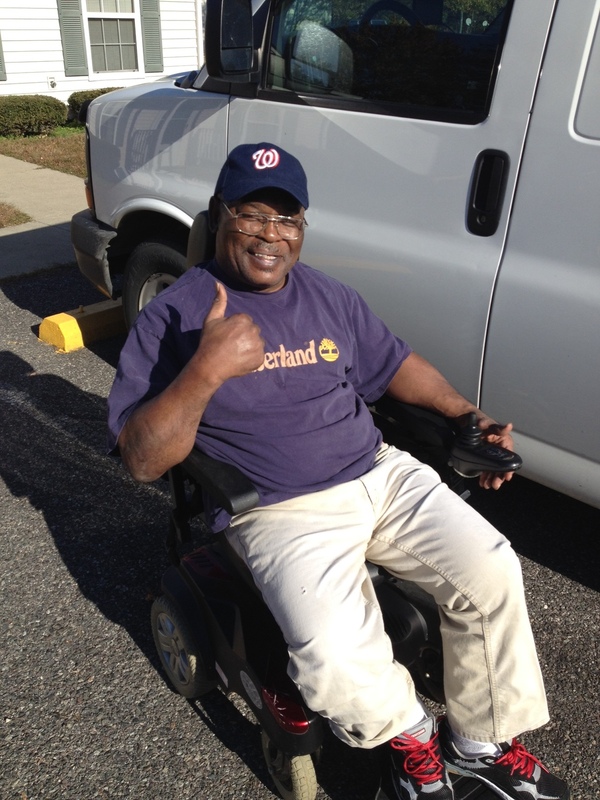 Med-Air donated the batteries and battery charger for Mr. Newton’s power wheelchair. Tyler Dufour drove two 100 mile round trips to Reedville to make this happen. Mr. Newton’s chair would not move and no other company or organization would step in to help him. Ilya, your persistence as Mr. Newton’s advocate spurred us on here to find a way to help Mr. Newton who was caught in the health care system without a way out that did not involve resources that were not available to him. Special thanks to Tyler DuFour whose repair and delivery van are pictured with a very happy Mr. Newton. Tyler spent more than six hours en route and with Mr. Newton and provided professional, caring service. Other Med-Air associates were happily involved as well in researching his situation. The company that provided the original power wheelchair went out of business and left Mr. Newton hanging. Bridging RVA, you are making a difference. We here at Med-Air are glad to make this one veteran mobile again. Did you know there are hundreds of children in Richmond, VA without a bed of their own? These children are sleeping on floors, chairs and sofas. When this issue was brought to our attention, we felt strongly that something needed to be done. Within a matter of several months, the awesome and generous people of the RVA responded. We raised enough support to purchase 100 brand new beds, linens, pillows, comforters and several cribs. On September 27, 2014, more than sixty volunteers gahered and set out to deliver and setup beds. At the end of the day, it was a wonderful feeling to know that 100+ children went to sleep in a bed of their own. While it was awesome to see how excited the children were to receive a bed, their parents were grateful and the volunteers were moved in a big way. It's hard to find the right words to describe all that happened that day. So, we created a video that captures a lot of the special moments. Check it out! Pay close attention to what the gentleman says at the end. It touched my heart too. After cooling off with bags of frozen peas and a tub of cool water for the past four months, things changed for this local widow, Ms. Francis, on a hot night in early August. After receiving a phone call from a concerned citizen, we shared the story/need on our Facebook page in early August. Within 10 minutes, one of you who "like" the Bridging RVA FB page offered to help Ms. Francis. Within three hours of our first post about this need, four volunteers from Bridging RVA were in Ms. Francis' livingroom installing a new AC unit. As cold air began blowing through this house for the first time in months, all who were present were touched in meaningful ways. One of the volunteers said, "She was so wonderful! I hope she has to pull up the covers tonight!" Ms. Francis asked if there was a way she could say thank you. She jumped all over the opportunity to say thanks via a smartphone video. Here ya go. A Big Thank You From Ms. Francis from Bridging RVA on Vimeo.